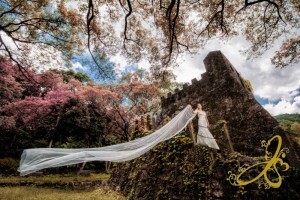 How To Pick Your Pre-Wedding Photographer ? When you start planning your wedding, there’s tons of things to do. An engagement shoot is done after a couple gets engaged and it usually is captured before the wedding. How to pick your pre-wedding / engagement photographer? Do Not only focus on the price, check out their albums and talk about the stories. Learn more about the photographer’s experience, style… find your own preference rather than only compare with the price. Talk directly with the photographer before you make the decision. Ask your wedding planner to recommend some who have long term cooperation, they usually have some partners with difference range, difference styles. I’m gretaful you made the post. It’s cleared the air for me. Thanks so much Becky-we can never let our guard doeennwv-r. What times of apostasy we live in-how frightened we might be if we had not been warned by the Lord and his apostles that it would be so. Kick the tires and light the fires, problem oflicialfy solved! dblngonishistAy fantastic several thanks, It looks like your current visitors may perhaps rather well want a great deal more articles of this nature carry on the fantastic content.